Slumber Inn - Serene Lakes, Atop Donner Summit. The Slumber Inn is located on a sunny corner lot in Serene Lakes. This cabin is perfect for your next vacation, as it is located in the beautiful area of Serene Lakes and has stunning views of Castle Peak and the surrounding mountains. Slumber Inn has a modern feel. Featuring hardwood floors, an open floor plan and plenty of windows; allowing a great deal of sun into the cabin, especially the living, dining and kitchen area. The contemporary kitchen is built with new stainless steel appliances, providing you with the luxuries you deserve. This cabin is great for a large group or just one family, as it sleeps ten with four bedrooms and two and a half bathrooms. The master bedroom is large with an attached bathroom & large jacuzzi tub, which is perfect for soaking after a long day of skiing! Slumber Inn also includes a deck which is connected to the living/dining area, ideal for sun baking, star gazing or entertaining during the summer. The Ice Lakes are right down the street, making it easy to enjoy them to the fullest extent. 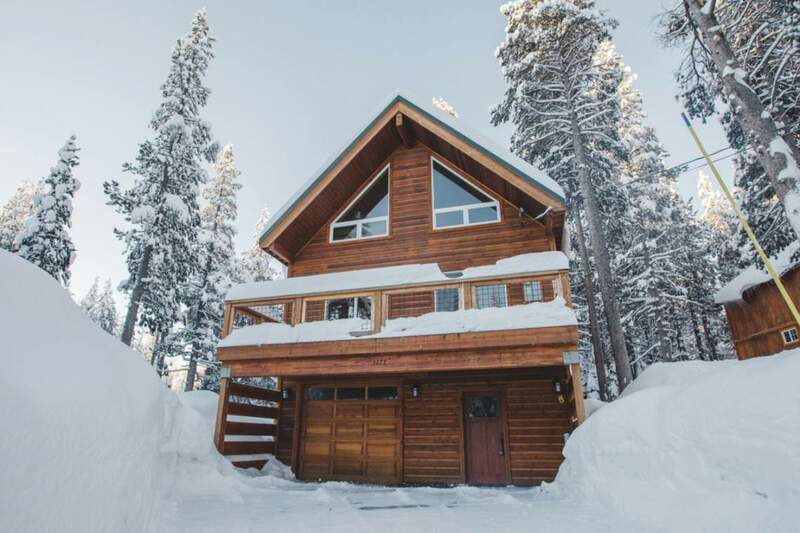 The cabin is walking distance to Royal Gorge XC and only a short drive to Sugar Bowl Ski Resort, Soda Springs Ski Resort, Donner Ski Ranch and Boreal. Close to Donner Lake, Historic Downtown Truckee and Lake Tahoe. We just spent a wonderful two weeks at Slumber Inn, and couldn't have been more pleased with the cabin. Its clean and cozy, comfortable for our family of six, and perfectly located between the lake and the forest, with easy access to both. The kitchen is well organized and stocked with high quality utensils and cookware, and the beds and furniture are all very comfortable. The master bath is lovely with the jacuzzi tub. Our stay has been fantastic, and we'll definitely be back.